BOTOX® is the brand name of a highly purified protein derived from botulinum toxin A. It is a popular non-surgical injection that helps temporarily either reduce or eliminate wrinkles and lines such as frown lines (glabellar lines), forehead creases, crows feet around the eyes and thick bands on the neck. Unlike Dermall Filler treatments that work by plumping up the skin or filling in lines, BOTOX® works by blocking the nerve impulses, temporarily paralysing the muscles. The muscles then relax and can’t contract and, in turn, lines and wrinkles relax too and begin to soften producing a more youthful and overall smoother appearance. BOTOX® has a long and interesting history. It was actually a doctor, Justinus Kerner, who in 1822 first conceived of a possible therapeutic use of Botulinum Toxin and coined the name botulism (from the Latin word for a sausage). He described it as a “sausage poison” because the bacterium that produces the toxin often caused poisoning by growing in improperly handled meat products. Then in the late 1960s, doctors in San Francisco developed a standardised Botulinum Toxin preparation for therapeutic purposes. Botulinum toxin has been used very safely and successfully since 1982 by ophthalmologists to treat nervous twitching of the eyelid and lazy eye. The cosmetic effect of BOTOX® on wrinkles was originally documented by Dr Richard Clark, a plastic surgeon from Sacramento, California, publishing his results in 1989, and from there began its history of growing general use in aesthetic medicine. BOTOX® is only available on prescription and BOTOX® injections is a highly effective treatment option capable of achieving a naturally refreshed and relaxed upper face rejuvenation that today so many people are seeking. And when administered by a qualified and experienced practitioner, it scores very highly when it comes to patient satisfaction. 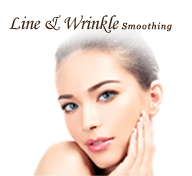 People wanting a quick and simple treatment to eliminate wrinkles with little downtime and recovery period. 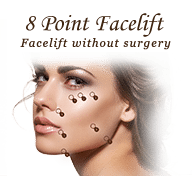 People wanting to eliminate frown lines, brow lines and furrows. People in need of slight lifting of the brow. 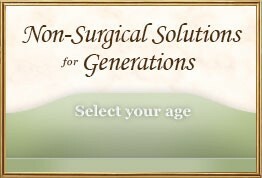 People who are not quite ready for face lifts or other types of cosmetic surgery to improve their appearance. People who want relief from excessive sweating (hyperhidrosis). 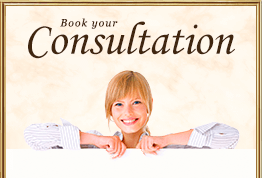 Prior to treatment you will have a thorough consultation, during which you will be assessed and the procedure, including possible risks, complications and after care, will be discussed with you and all your questions will be answered. No form of anaesthetic is required. The treatment is carried out by injecting a very small amount of BOTOX® into the area to be treated using a very fine needle. Patients are able to return home or work following the treatment. Immediately following the treatment, patients will exhibit a slight temporary redness and / or bruising of the skin at the sites where the injections were given. These will be minor and only of short duration. Other than this, there should be no visible signs of the treatment. Detailed post-treatment care instructions will be provided. 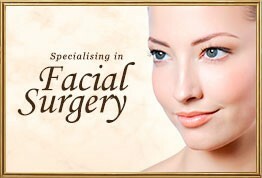 Cosmetic surgery and non-surgical aesthetic treatments are amongst the safest of medical procedures. However, patients must understand and accept that no procedure can be totally risk-free. Provided the BOTOX® injection treatment is carried out by a suitably qualified and experienced practitioner, associated complications are relatively rare. In some cases it can cause a temporary weakness of nearby muscles or drooping of an eyelid. The risk of any side effects depends on the muscles injected. However because BOTOX® is completely reversible, any side effects related to excessive weakness will be temporary, lasting only days or weeks. BOTOX® is not suitable for use in those with certain muscular disorders, nor for women who are pregnant or breastfeeding. BOTOX® is a temporary treatment, the effects of which wear off naturally over time. Results of the treatment will typically become visible within 4 to 7 days, however it can take up to two weeks to obtain the full result. Also, depending on a person’s lifestyle and how their muscles react to the treatment, the effects of Botox may last from 3 to 6 months and the treatment should not be repeated more than two or a maximum of three times per year. There are however a very small number of patients, about 2%, who either have pre-existing antibodies to BOTOX® or who develop antibodies to BOTOX® following frequent treatments, which render it ineffective. Unfortunately there is no way of identifying this small group of people beforehand. In such cases a related product called Dysport can often be used successfully as an alternative. To learn more about our anti-aging and rejuvenation treatments, to request a consultation or get advice, please contact us on +44 20 7580 8001 or through our online form. Copyright © 2018 Allen Rezai M.D.